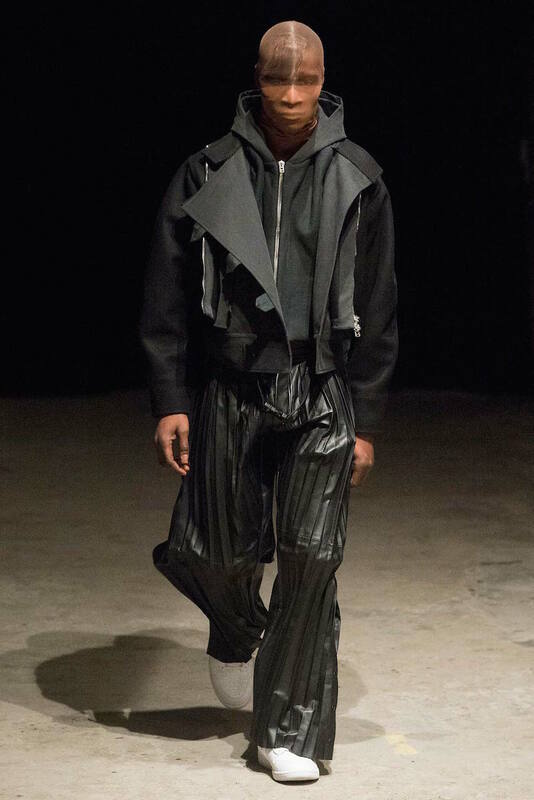 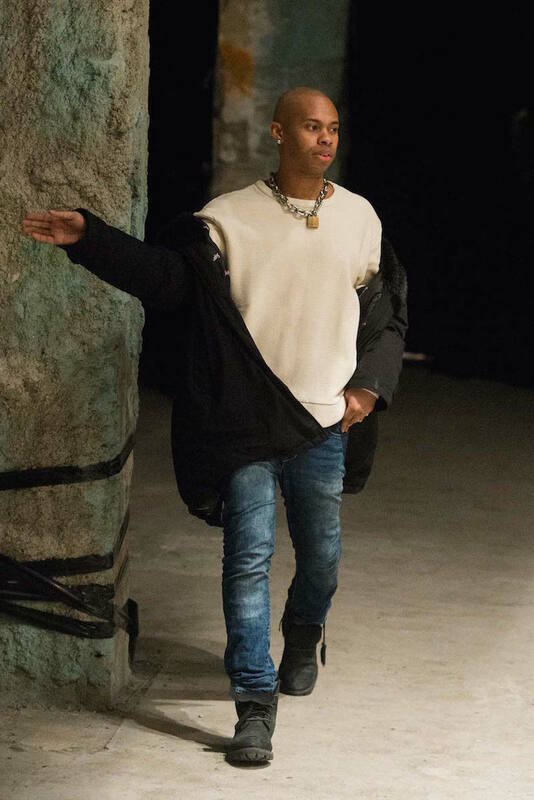 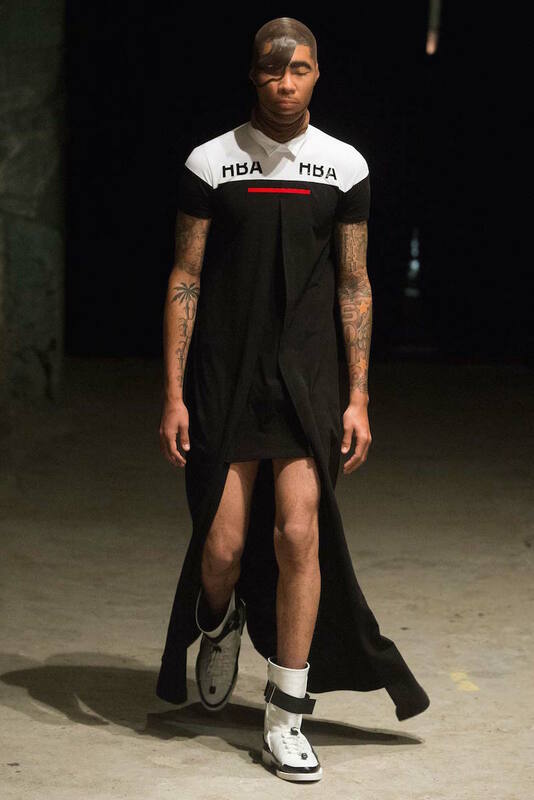 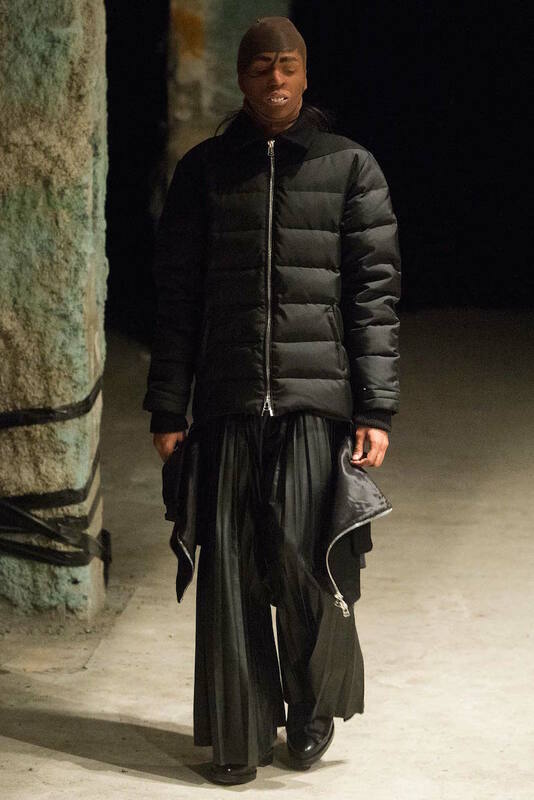 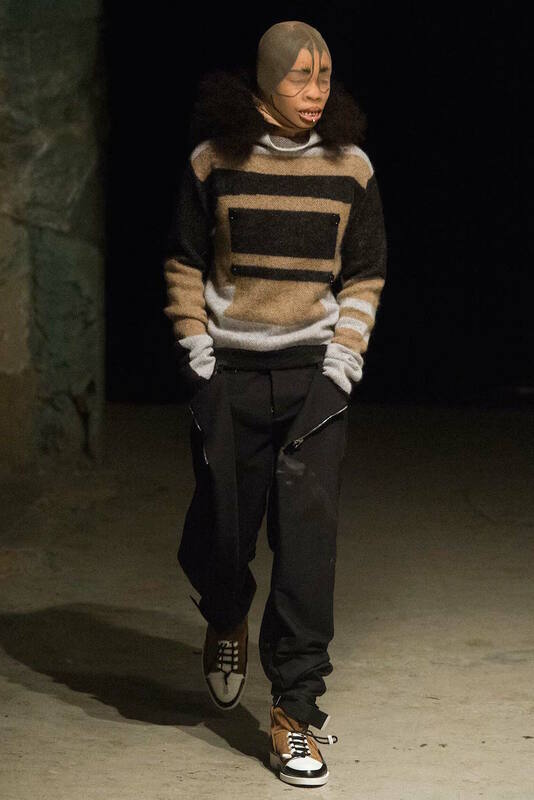 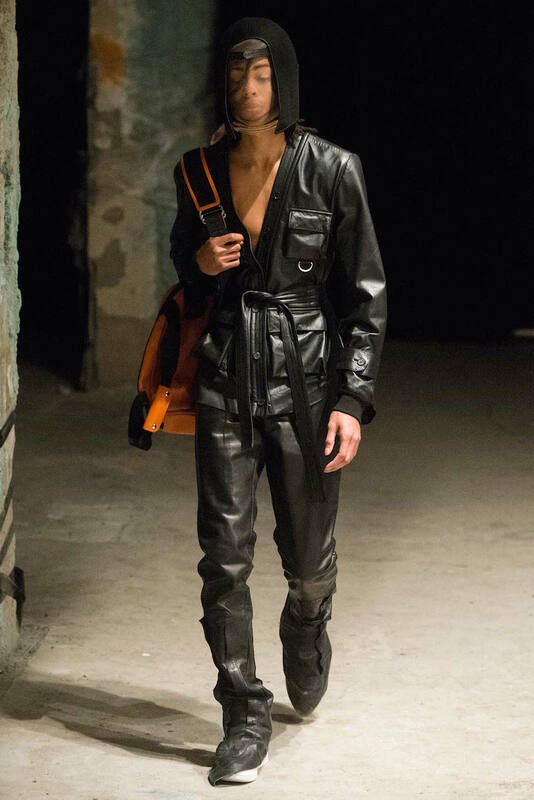 Hood by Air Shayne Oliver won the CFDA Swarovski Award for Menswear at last night’s awards show confirming the androgyny for men is the answer. 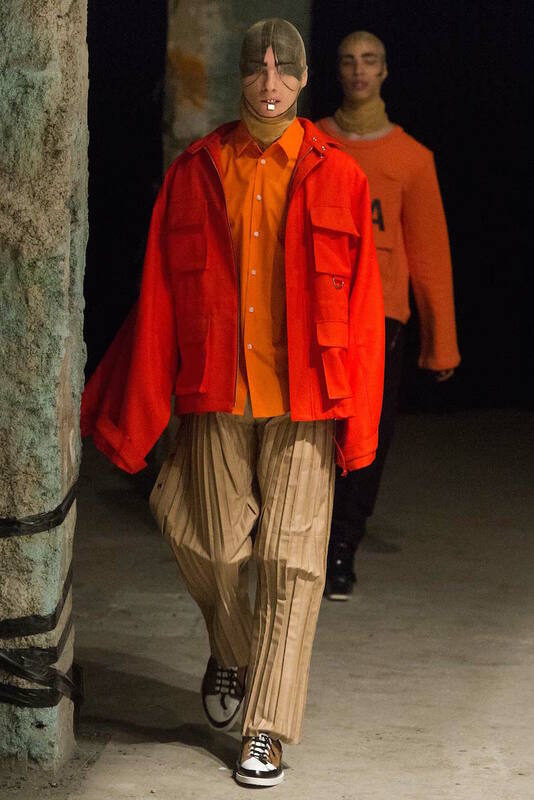 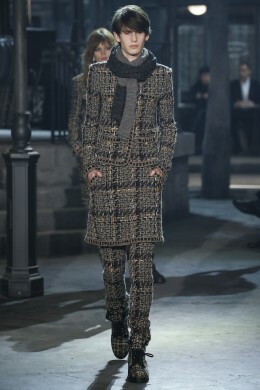 When you go to a menswear show you know what to expect in terms of a men’s show no-makeup makeup look. 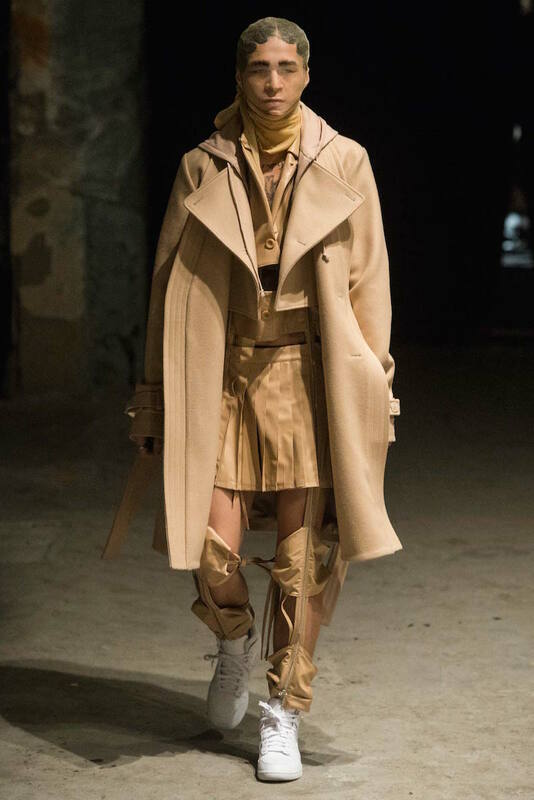 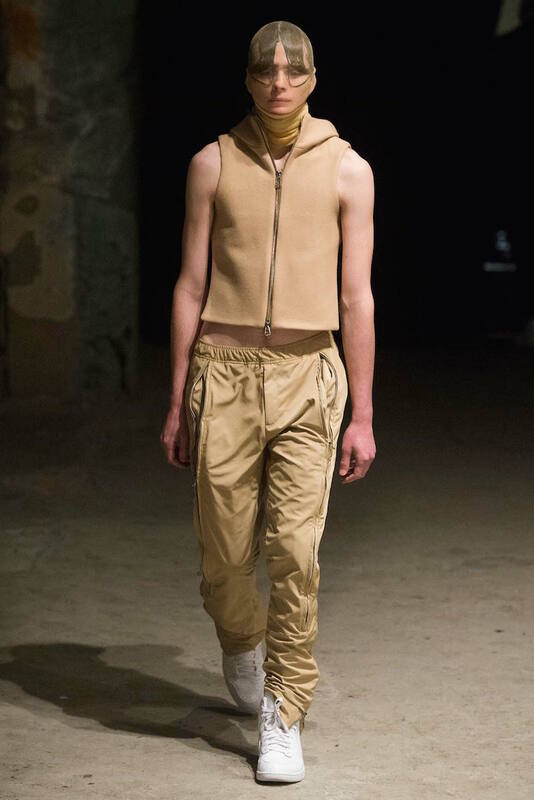 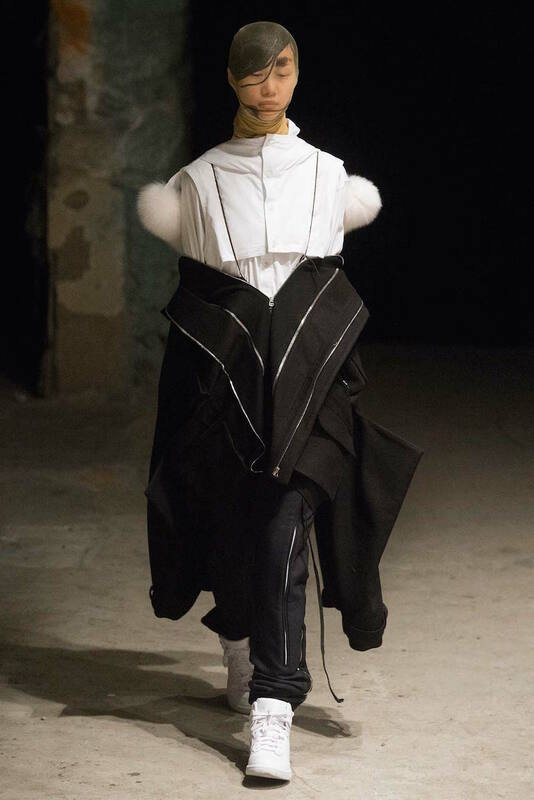 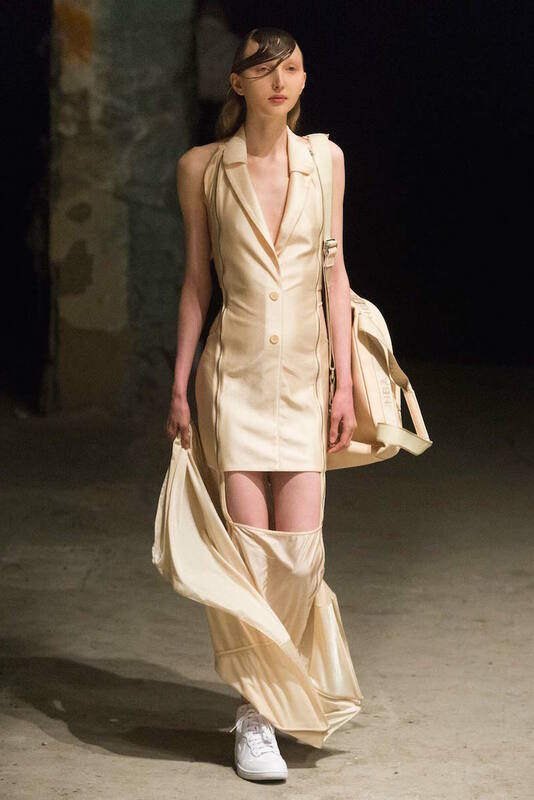 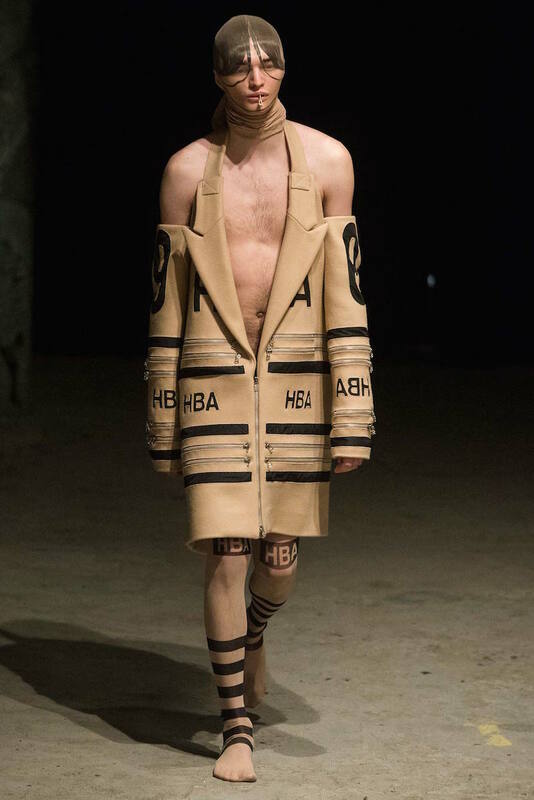 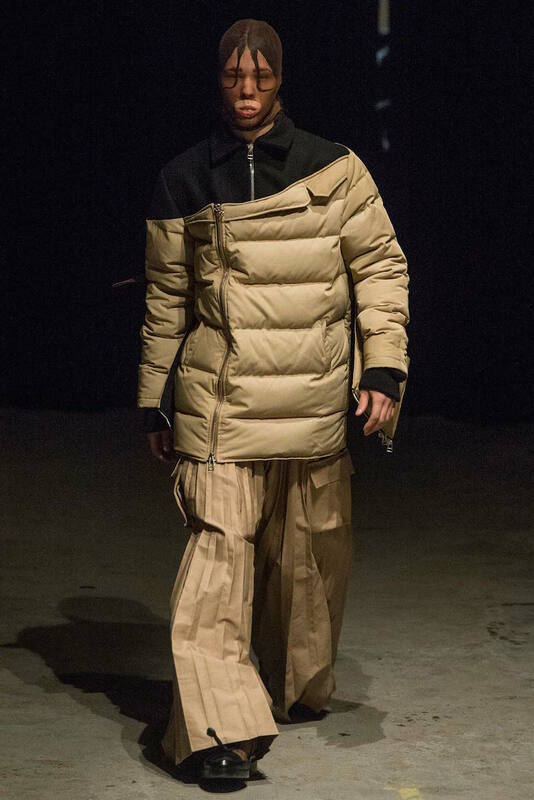 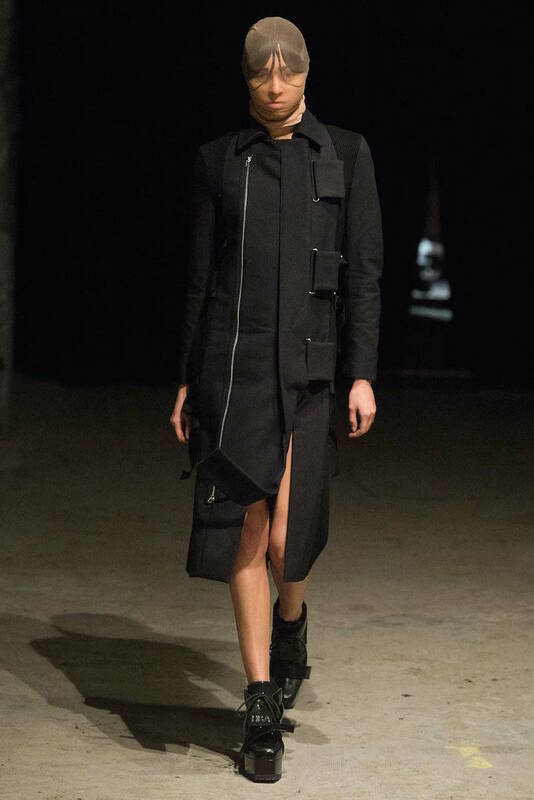 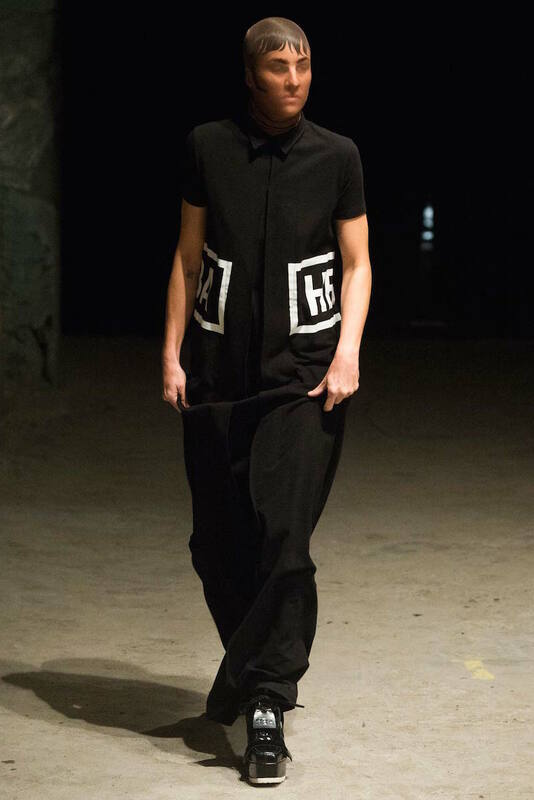 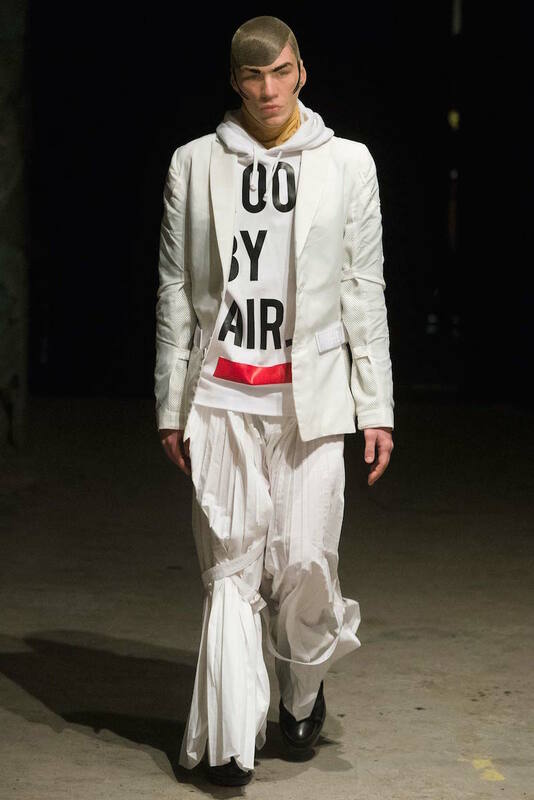 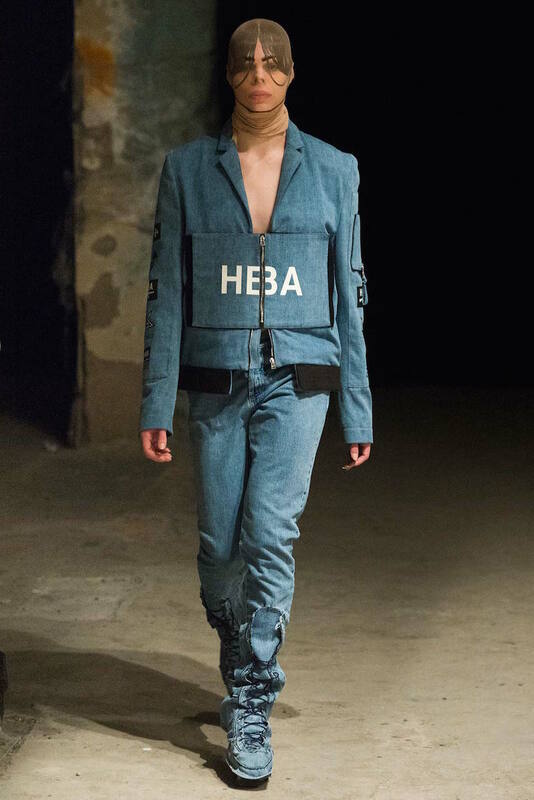 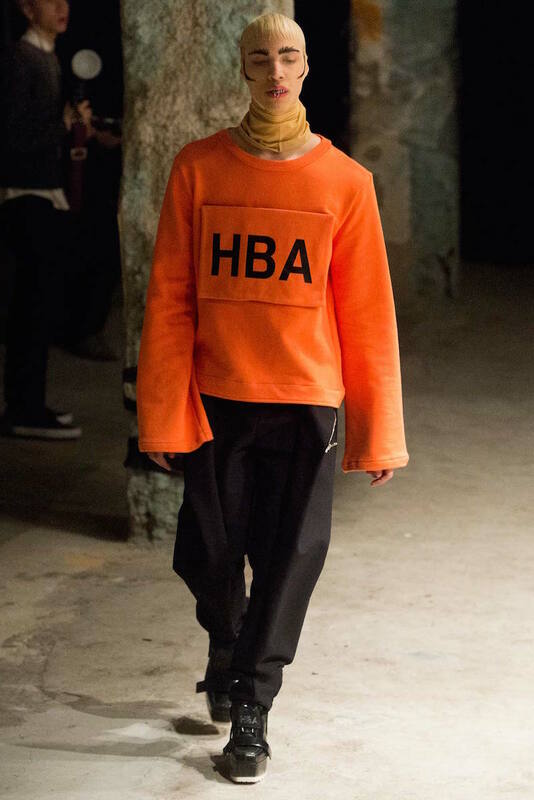 This idea doesn’t apply to Hood by Air. 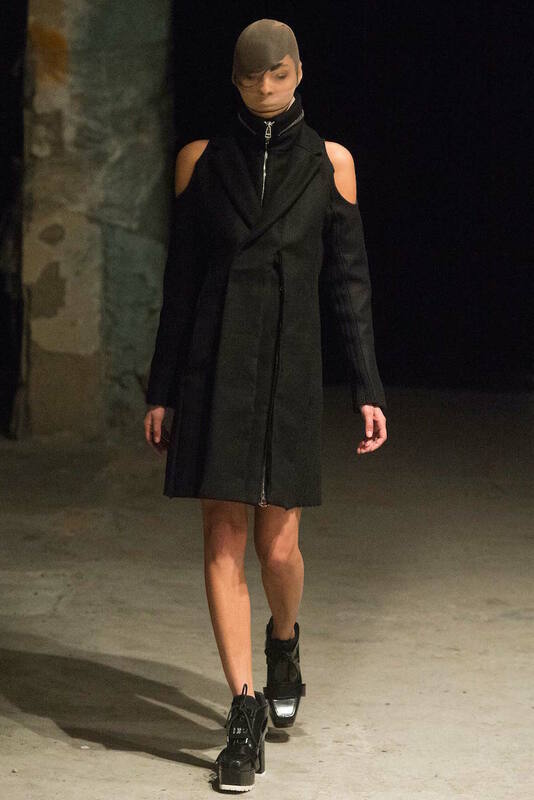 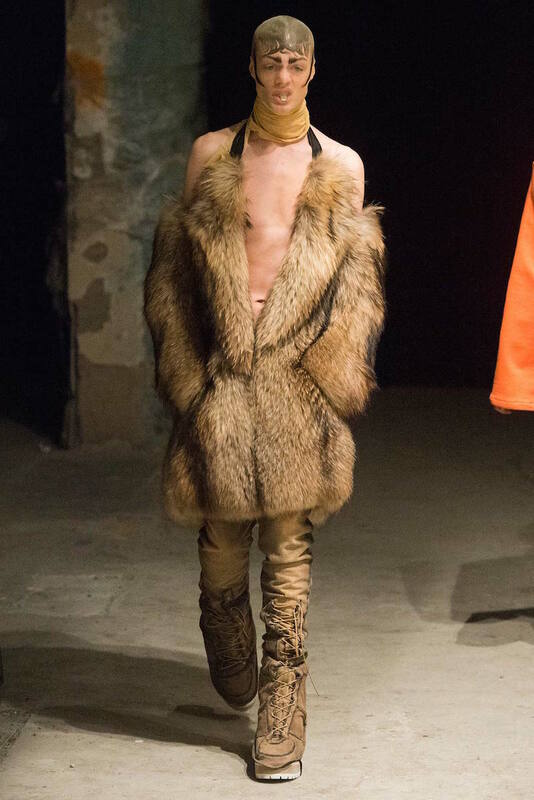 At the fall 2015 show, Shayne Oliver commissioned custom grilles to look like orthodontic braces; threaded them through with padlocks and piercing-parlor barbells; and covered the models’ heads, faces and hair with glittering stockings. 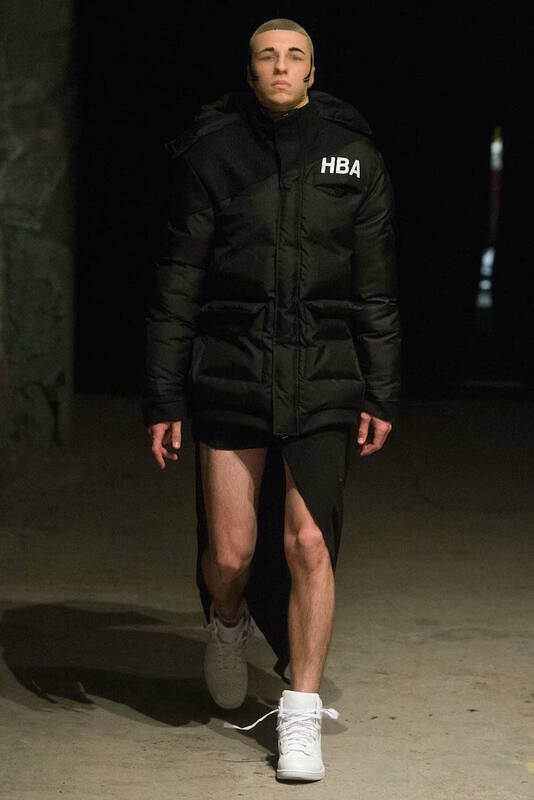 Think fetishistic bank robbers. 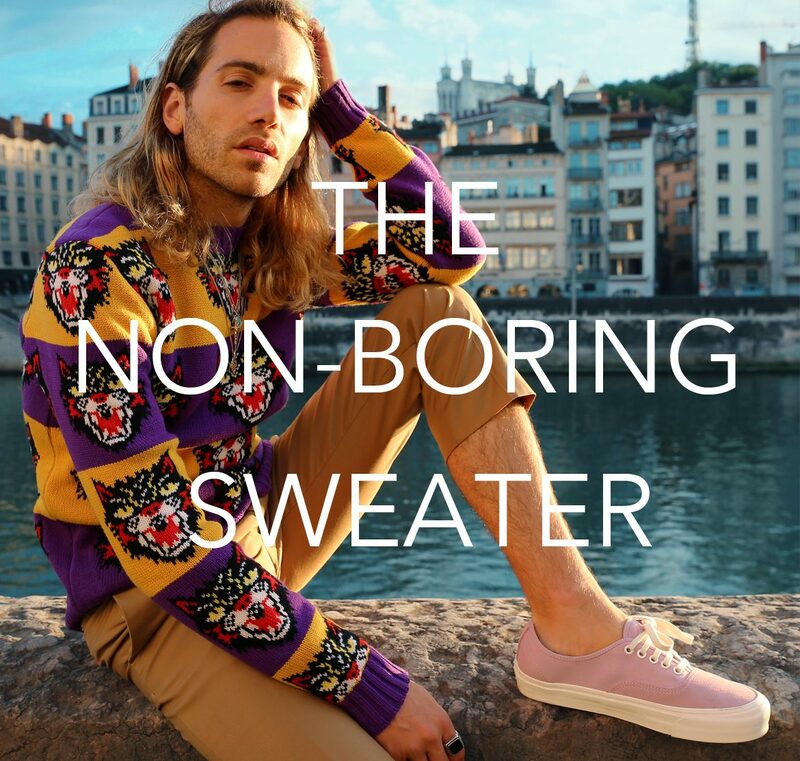 Shayne has this unique talent for taking the most mundane stuff in our wardrobes—khakis, button-downs, sweaters, tees, and so on—and hybridize them and make them feel alien and gender neutral. 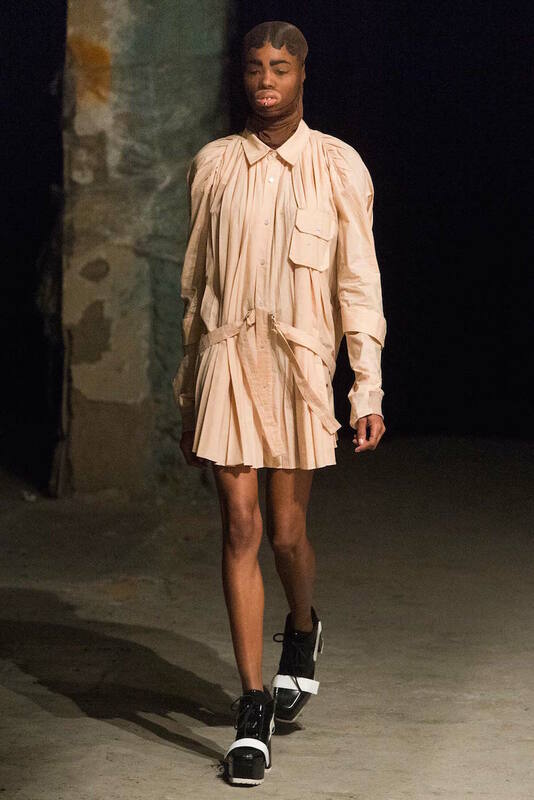 Shayne’s taste for theatrics may always gets the better of him, but he his raw talent for deleting a garments sexuality is ever present and quite deserving of the CFDA Swarovski Award for Menswear. 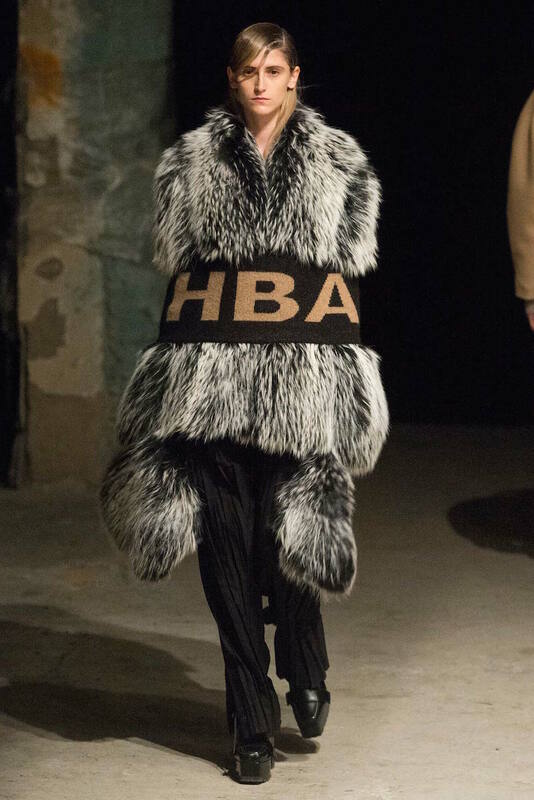 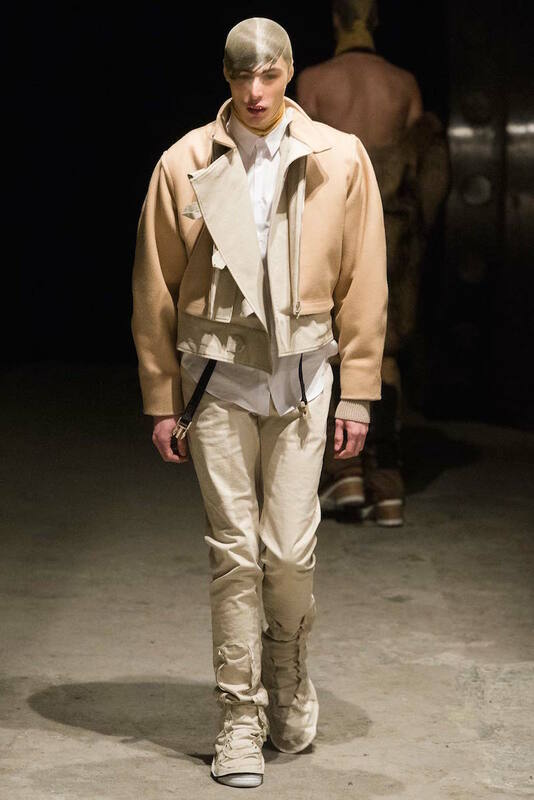 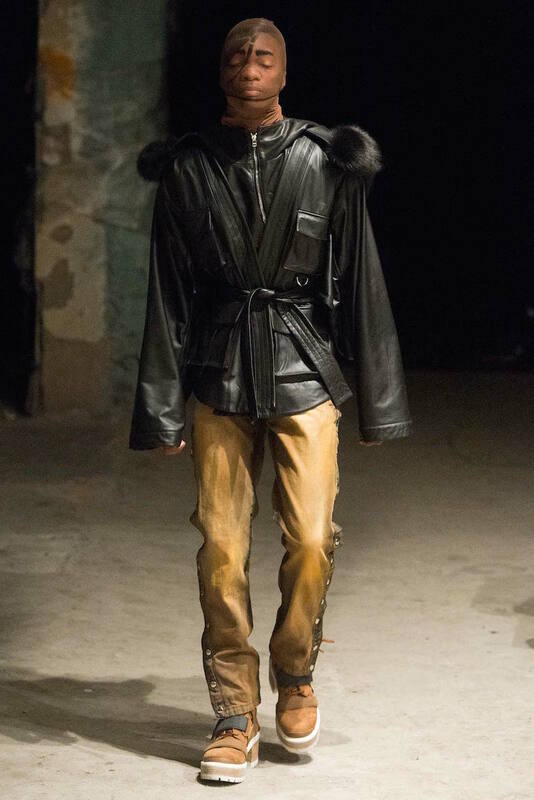 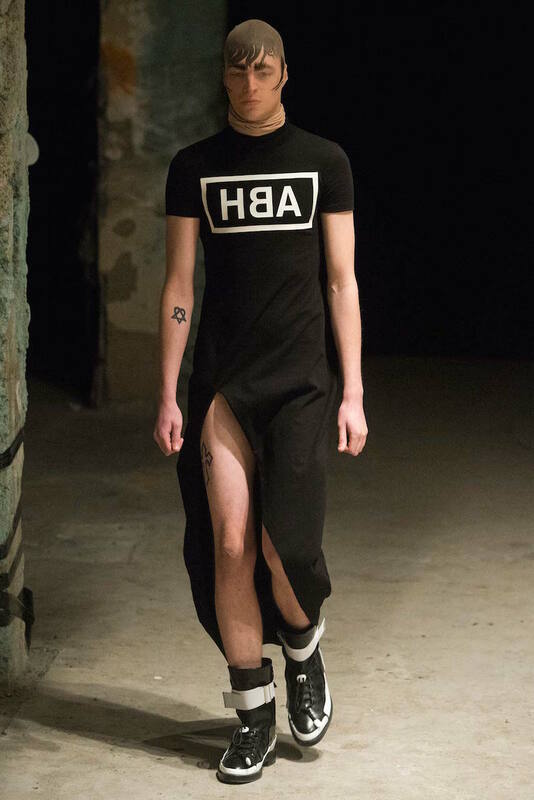 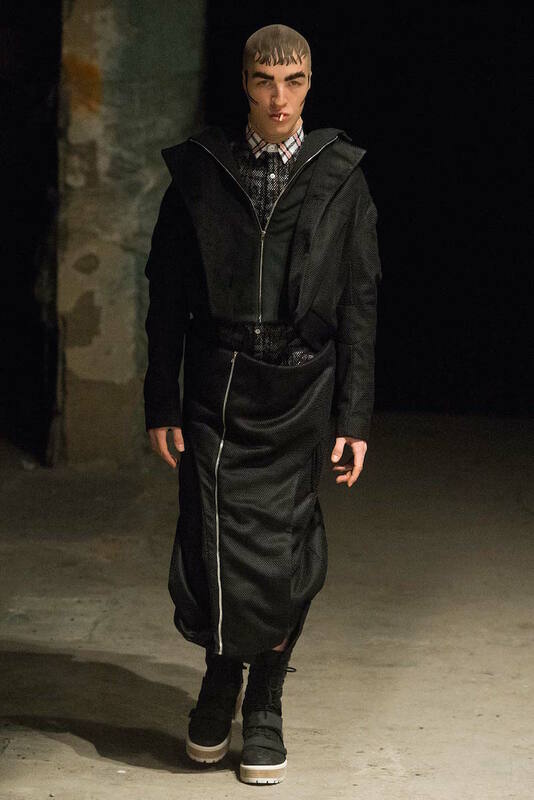 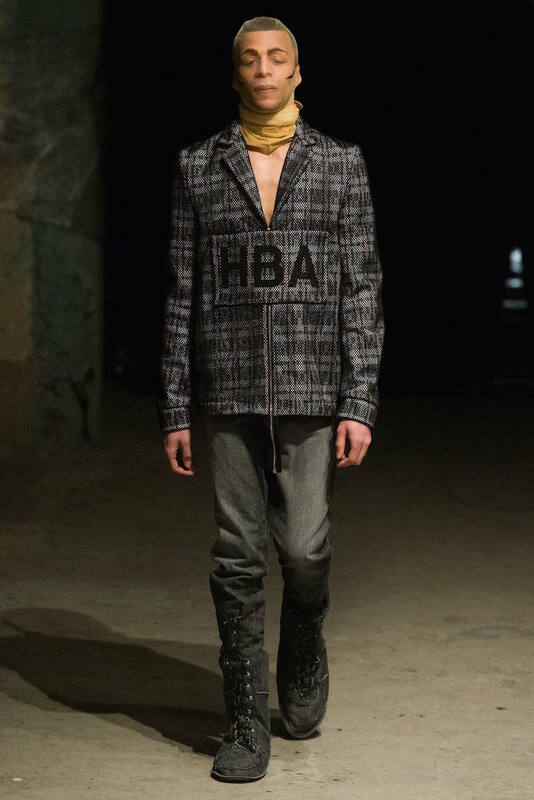 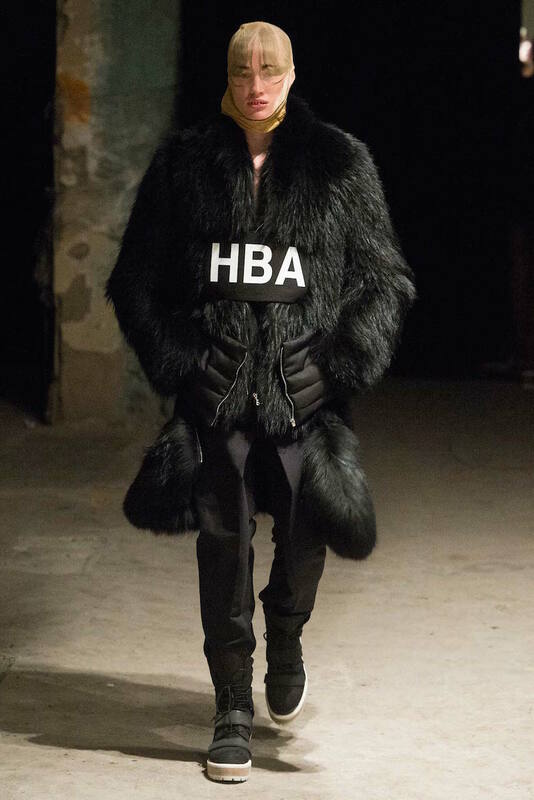 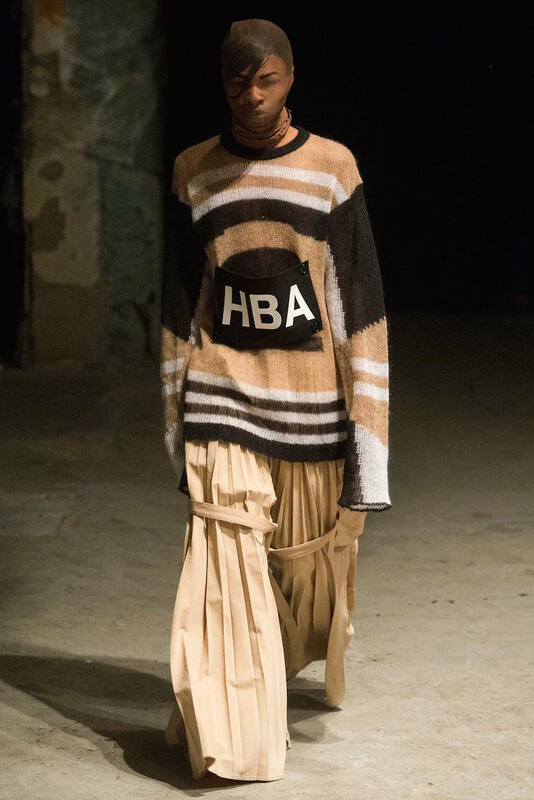 Hood By Air is to present its men’s line for the first time on the Paris calendar this summer. 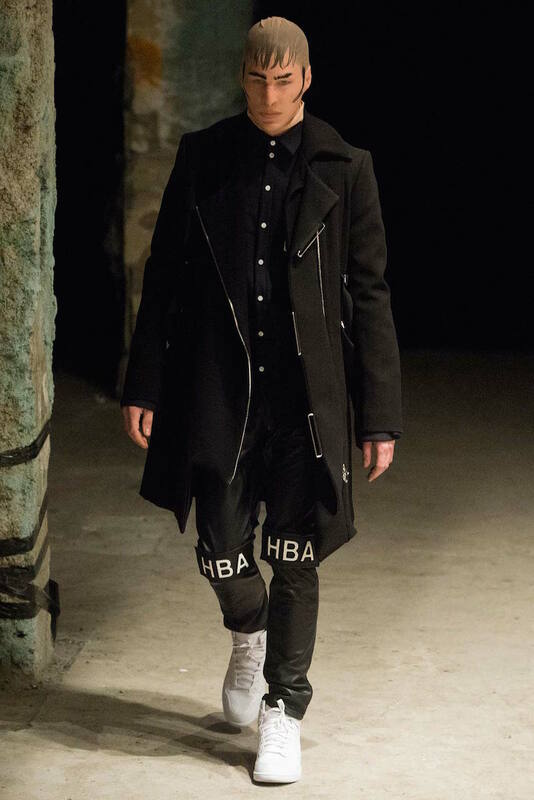 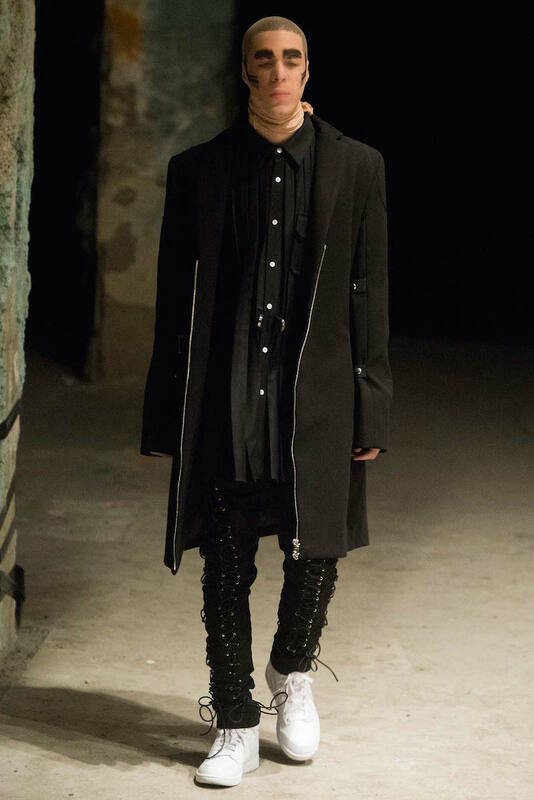 In the meantime, check out the entire fall 2015 collection above. 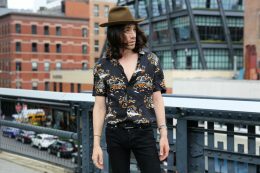 If the weather app on my phone is to be believed, New York City is temporally out of its heatwave.